Defending its airstrikes and trying to disrupt the opposition-rebel bloc for any negotiations, Russia’s Foreign Minister Sergey Lavrov said on Wednesday that two of Syria’s largest rebel factions are “terrorists”. Jaish al-Islam regularly bombs the residential quarters of Damascus — it’s them who hit our embassy by mortar fire. The second one is Ahrar al-Sham, which directly grows from Al Qa’eda, which is banned by the UN Security Council. 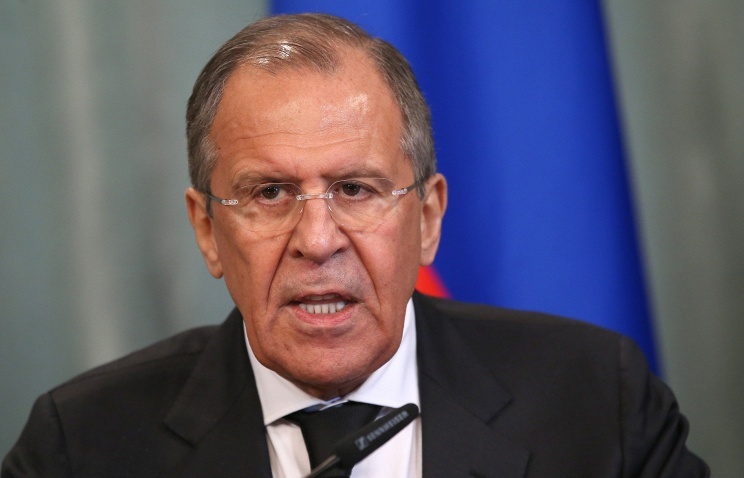 Russia initially said that its bombing campaign, launched on September 30, was focused on the Islamic State. However, with more than 80% of its attacks on opposition-held territory, Moscow revised its line to say it was attacking “terrorists”. Part of Russia’s justification was the distortion that Ahrar al-Sham is linked to Al Qa’eda: in fact, the Salafist group — in contrast to Jabhat al-Nusra — has no ties. Russia is also seeking an international agreement that leading rebel groups — as “terrorists” — cannot be involved in talks for a political resolution in Syria. Moscow and the Assad regime’s other major ally, Iran, failed to get their desired list at the last international conference in New York on December 18 — the initiative fell apart when the Jordanian Foreign Minister, commissioned to draw up the list, included Lebanon’s Hezbollah and Iran’s Revolutionary Guards in his draft. A week later, Russia supported or carried out the airstrike that killed Jaish al-Islam leader Zahran Alloush and five other senior members northeast of Damascus. They say this won’t work, as the resolution lacks specific agreements on terrorists, on who will represent the opposition delegation. We want the UN to choose a delegation being guided not only by an opposition group, but by the results and composition of participants of all meetings that have taken place over the past 1.5-2 years…. [These include] the Moscow meetings, the Cairo meetings and the recent meetings in Riyadh. Syrian authorities have released two prominent members of the domestic opposition who were arrested on Wednesday as they traveled to Saudi Arabia. Ahmad al-Asrawi and Munir al-Bitar, senior members of the National Coordination Committee for Democratic Change (NCCDC), were stopped at Syria’s border with Lebanon. They were going to Riyadh to meet other delegates on the opposition-rebel negotiations committee established earlier this month. The Syrian militia has launched an offensive in Quneitra Province in southwest Syria, near the demilitarized zone with Israel in the Golan Heights. Rebels said the attacks began at dawn on Thursday in rain and fog, when the Syrian army stormed the village of Samdaniya al-Gharbiya near the border of the DMZ. The Syrian military said the village was captured, but rebels said heavy fighting is continuing. Regime forces moved towards the strategic town of Hamdanieh in the Syrian Golan Heights, which rebels took in 20013. “They staged a large-scale attack under cover of heavy fog, where you can hardly someone only a few metres away from you, on the two villages,” said Abu Yaha, a spokesman for the rebel faction al-Wiyat al-Furqan. Rebels hold more than 70% of the province, with the regime confined to the towns of Baath, the de facto provincial capital, and Khan Arnabah. Supported by scores of Russian airstrikes, a regime offensive captured a nearby military base and moved into Sheikh Miskeen on Tuesday. The fourth-largest town south of Damascus, Sheikh Miskeen is located near the highway from the capital to Daraa on the Jordanian border. At least 17 people were killed and 30 others wounded by a double bombing in the mainly-Kurdish city of Qamishlo on Wednesday night. Witnesses said suicide bombers detonated their explosives in the Christian neighborhood of Wista near a café and restaurant, knocking out power through the city. Authority in Qamishlo, Syria’s largest Kurdish city, is divided between the regime and local officials. The Wista district is under the control of regime forces. Russia’s Defense Ministry has again denied documentation of its bombings of infrastructure and public sites, killing almost 1,200 civilians since September 30. “All of these anonymous and unsubstantiated statements about the alleged use of Russian aircraft on civilian targets in Syria is increasingly reminiscent of hypnotists’ acts in travelling circuses,” the Ministry said in a statement. Syria’s Violations Documentation Center has confirmed 1,193 civilian casualties from Russian attacks. Last week Amnesty International issued a report detailing six Russian airstrikes across northwest Syria that killed more than 200 civilians.